The Clippers this week finally coated the neighborhood, including barns, meadows, and the snowpack enough for some cross-country skiing. CLIFFORD TOWNSHIP PA — Born during the planning of the Township’s bicentennial celebration just a short decade ago, the Clifford Township Historical Society (CTHS) has tirelessly endeavored to collect, document, and preserve more than 200 years of local history. Documentation and countless memorabilia relating to the early settlement of Clifford and the surrounding areas has continuously flowed into the Society to help build a flourishing local museum that educates, informs, and entertains visitors throughout the year. The group has also renovated the Hoover School (circa 1861-1942), while also collecting, restoring, and preserving artifacts, photos and paintings that help share family stories and endless tales that would otherwise go unknown. Currently, the CTHS is in the throes of also renovating the old Yarns Cider Mill, with definitive plans to have the original equipment pressing cider once again. 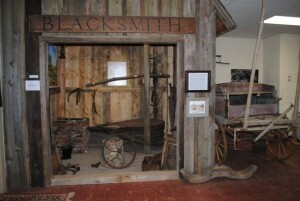 Last Spring, CTHS added an authentic reproduction of Lott’s Blacksmith Shop to the museum, where, again, donations brought this to fruit ion. The shared contracting skills of Jerry Lewandowski are especially evident on this project. 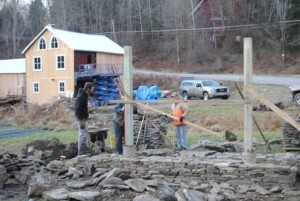 “James and Janet Corey donated all the vintage wooden board and beams for the shop,” said Wilmot. “The interior items came from folks throughout the township who scoured their barns, basements, and attics for vintage items. The original bellows were from Lott’s Blacksmith Shop, which operated near Clifford corners in the 1880s. They were generously donated by Walter Spedding who’d stored them for decades in his garage in Connecticut. Refuged in our homes from the season’s deepest cold and dark, absent focus, minds can turn listless or anxious. 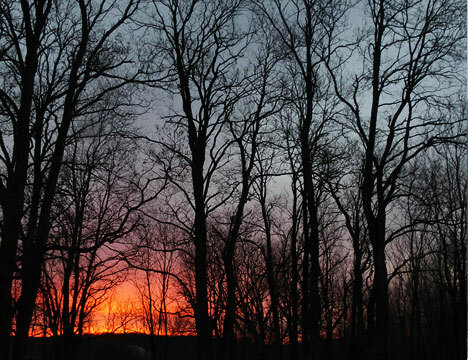 A brilliant scarlet dawn can be seen as a threat to “take warning”, harbinger of a day probable with difficulties. Or, it can be seen as bright evidence of an extraordinarily beautiful start to a day ripe with possibility. It is easy to see life as a constant struggle – that we are rarely presented with what we expect or what we feel entitled to on our own terms. Closer to the truth is that we are almost always presented with the opportunities to get exactly what we want or need. Whether our desires are realized or not is based on the choices we make. 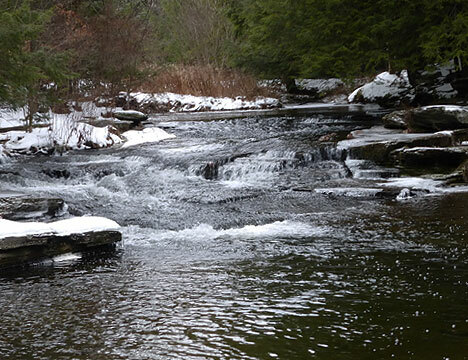 There is a story of a very devout, but stubborn man who lived in a modest house along a river. A storm provoked the river to compromise it’s banks, and the man, trying to escape the flood waters, found himself on the roof of his home. The man’s neighbor rowed to his house in a boat, and offered to give the man a ride to the safety of higher ground. The man declined, stating “I have faith in God; he will protect me here on my roof”. Later, as the flood waters continued to rise, officials came by in a motor boat ordering the man to evacuate so they could deliver him to safety. The man refused, again stating that his faith would protect him. Darkness fell, the waters continued to rise as a helicopter’s powerful search light spotted the man, now clinging precariously to the very peak of his home’s roof. The rescue crew was astonished when the man refused to be hoisted to the safety of the helicopter, again stating that his faith would protect him. They tried at length to talk the man into joining them, but the helicopter ran low on fuel putting the entire crew in peril; finally they abandoned the man in the dark. As the helicopter returned to it’s base to refuel, the flood waters rose over the peak of the roof, washing the man away into the dark swirling waters. Exhausted from clinging to the roof for hours, the man soon drowned. God replied “I too am disappointed and surprised that you drowned. After all, while you were on the roof, I did send you two boats and a helicopter…”. Whether God’s ways seem mysterious or obvious, it is good to keep in mind that along with faith and devotion, we still have to do our part. Darn cold here on The Hill the past few days; wave after wave of arctic air continues to wash over the neighborhood. Sailing on these waves, Alberta Clippers – fast moving weather systems that come from the high dry far north, pulling only a bit of moisture from across the now cold Great Lakes, delivering not much more than a coating of snow by the time they reach the backyard. These repeated dustings have brightened things up. 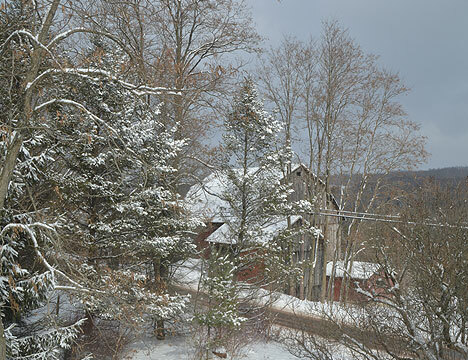 Though not of much depth, the scenery is once again winter white. Elk, however, has transformed dramatically. After the rain and high temperatures last week, these few inches of snow have “met-a-morph-a-sized” (to use The Ski King’s word) the skiing surface into a true delight. 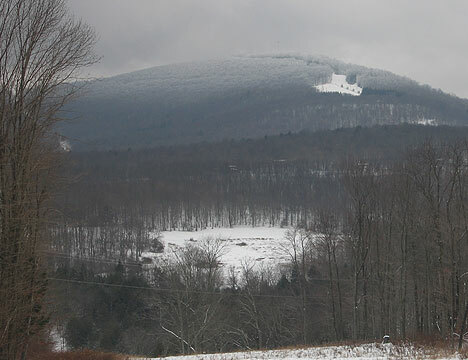 The Sk’boardin’ farmer reports that “The Tunkhannock is amazing… bumping up nicely.” No doubt the fruit of Nick and the snow crew’s handiwork: Mother Nature’s frigid temperatures have caused the continually running snow guns to bury the slopes with “Pennsyltucky-white hi-grade”. If all this sounds a bit cryptic, best come on up to the Big and Friendly and make some turns. See for yourself. Best skiing yet this season!